Put the measuring tape under your arms and measure around the fullest part of the bustline and across the shoulder blades. Typically will measure somewhere between 31 and 42 inches. When measuring the chest for a bra, if the final measurement is an odd number, add 1. Measure around the natural waistline – the smallest part of your midsection (torso) – usually near the belly button. Make sure you keep the tape a little loose – don’t cheat. Put legs together and measure the widest part of your hip area – typically about 7 inches below your waist. 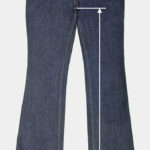 Measure from the crotch seam to the floor (bottom of the foot). Measure along the inside of the leg. Round up to the next largest number. For inseam measurements, it’s often easier to take a pair of pants that fit you well and measure the inseam on the pants instead. Lay them flat and measure the inseam from the crotch seem to the cuff. For shirts and other items that you want to allow for movement, measure from the end of the clavicle (collarbone), following a bent arm to the point where you want the sleeve to end. It is important that the arm is bent slightly when taking an arm-length measurement for shirts. For coats and jacket arm length measurements, measure as above except allow the arms to hang loosely down the sides. To make a neck measurement, wrap the tape around the neck and over the adam’s apple, allowing the tape to rest on the shoulders. If you want a slightly looser fit, place a finger between the tape and neck. Find the bone at the end of the clavicle (collarbone) and measure from that point to the other shoulder (at the end of the clavicle). Another way to think of the method is to imagine measuring from a line running through your armpit straight upward to your shoulder. Measure between these two points while holding the tape straight. Shirt length measurement is taken from the top of the shoulder, close to the mid-side of your neck, following down the body to the point where you want the shirt to end. Measure around the wrist, just above the bone knot located on the pinky side of the hand. Measure bust and natural waist. Use the body sizing chart below to determine your size. Measure your bust, natural waist, and hips. Use the sizing chart below to determine your size. Measure your natural waist, hips, and inseam (if buying long pants). Match up the measurements to the pant sizing chart below. 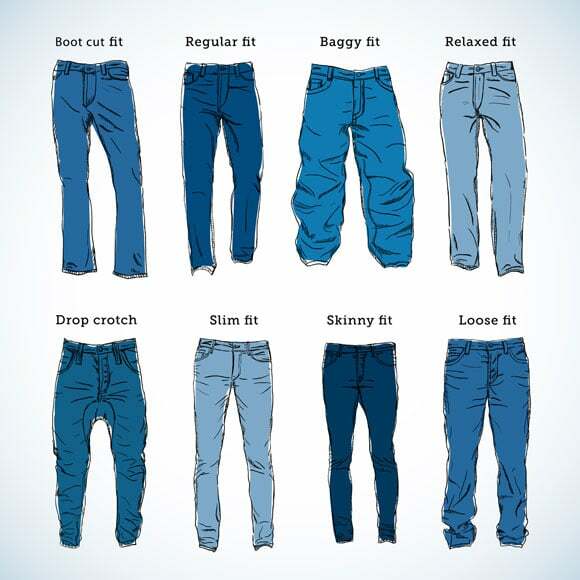 When determine pant size, you should also consider the cut of the pant. 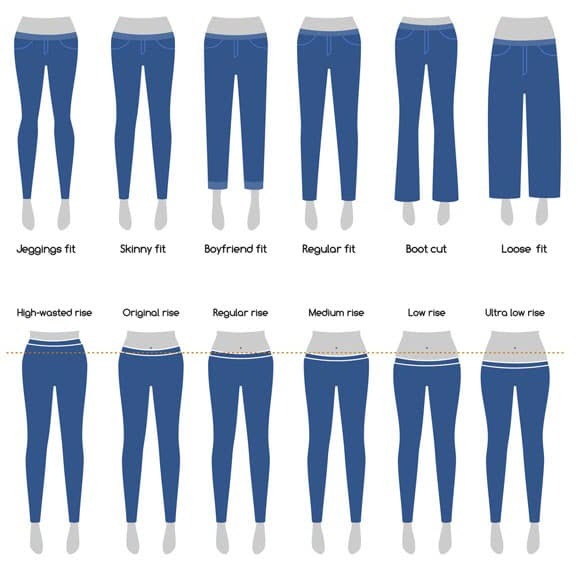 Below are charts listing various sizing methodologies including a comparison/conversion between UK and US products.